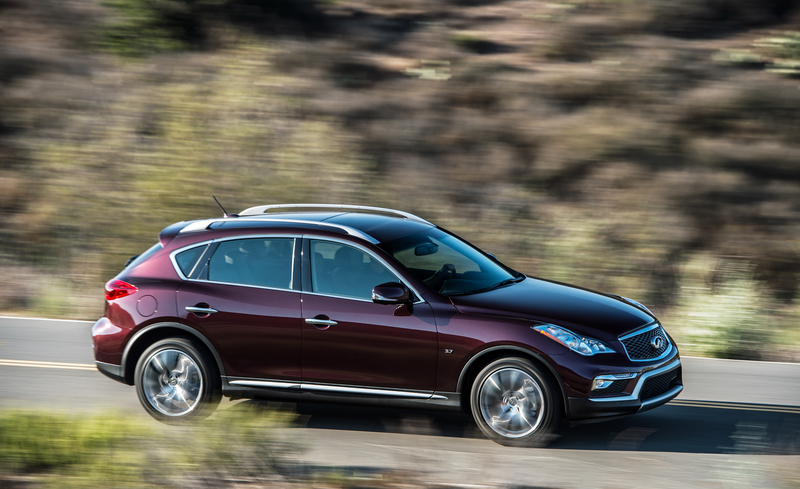 As one o the luxury crossover, 2016 Infiniti QX50 has been introduced to have luxurious and elegant exterior design. The exterior, which has been revised in term of styling, features some standard items including automatic on/off headlights, integrated front fog lights and also LED lights. UV-reducing solar glass is also available. The rear doors are able to open in a full 80 degrees to provide easier rear-seat exit and entry. Moreover, dual exhaust comes with polished finishers will both functional and decorative in the rear side of this crossover. How about the engine? This crossover is powered by 3.7L V6-cylinder 24-valve DOHC engine. The engine is able to produce 325 horsepower at 7,000 rpm and 267 pound-feet torque at 5,200 rpm. The car uses rear wheel drivetrain type with seven-speed automatic transmission with Adaptive Shift Control. The suspension available is four-wheel independent suspension with stabilizer bar. Then, the EPA range for this car is 17/24 city/highway in mpg. Go inside the car and then discover versatile elements in the interior. 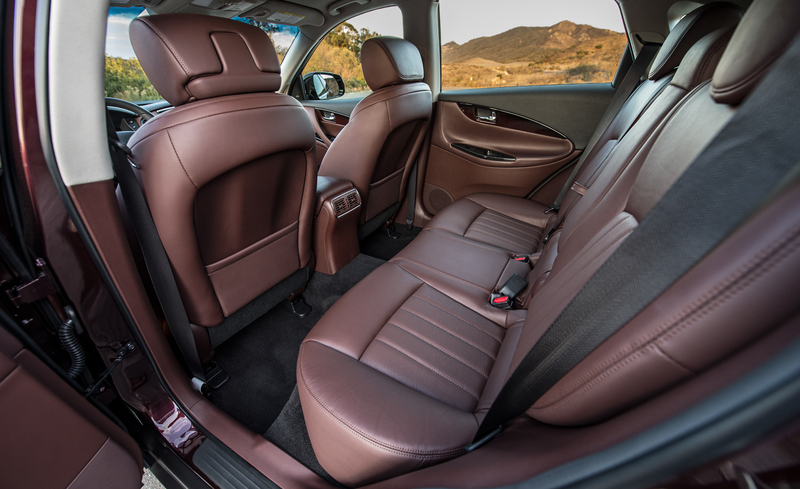 The interior which provides some colors options including chestnut, graphite and wheat packs many available features to provide you the best time inside this car. 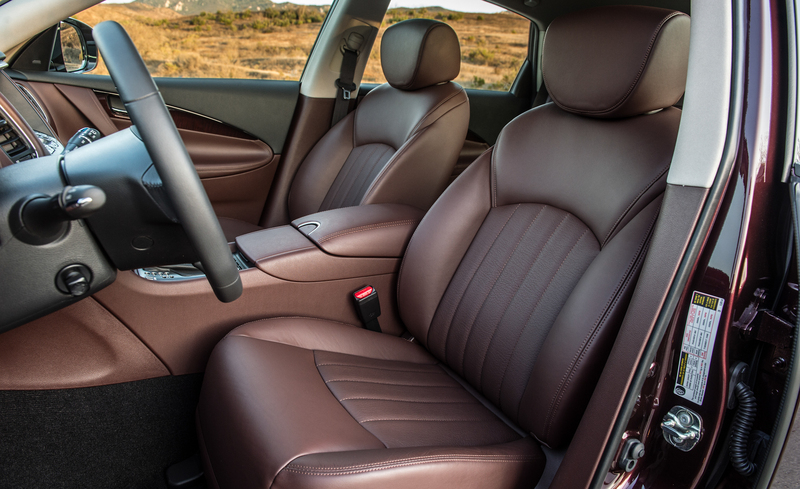 Infiniti QX50 features temperature control system with dual automatic zone as standard feature and climate control with auto-recirculation and air purifier as optional feature. Automatic power door locks and power windows are available as well. 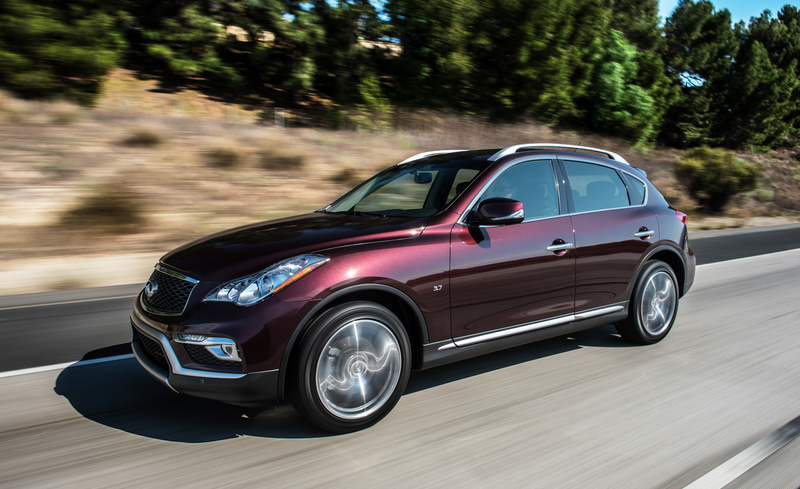 2016 Infiniti QX50 also features standard 7” color information display as well as touch-screen display for the navigation system as optional. Cruise control on steering wheel and Bluetooth for hands-free phone system is available too. Then, 6 total speakers with radio data system, mp3 playback and speed volume control are available in the audio system.